Hi everyone! I’m super happy to be back with a bonus post today. 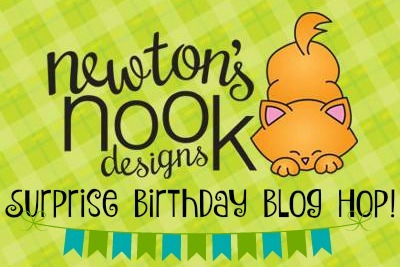 Today is really special for the Newton’s Nook Designs Design Team because we have joined together for a surprise birthday hop for the amazing Jennifer Jackson. 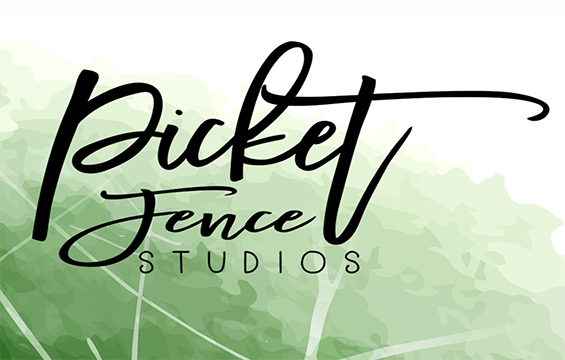 Jennifer is the owner and illustrator for NND and we want to let her know how much we love her! So…happy birthday Jennifer!! Thank you for the opportunities you have shared with us and for all the creative inspiration! I went all in on the bright colors on this card! I love the lime green note card and thought the green and a bold pink would be fun with it. I colored using my Copics and added a sentiment from the same set on the stitched circle. For some more flair, I added striped baker’s twine and some coordinating sequins. I hope Jen enjoys her celebration (and shock of shocks, I actually even got this in the mail!). In true NND style, we have a chance for you to win. See….everyone loves a birthday celebration! Comment on the hop blogs (see list below) with a birthday message for Jennifer! The winner will be chosen at random from the collective posts. Make sure to check out each of their blogs and comment for your chance to win. You will not know which blog has been chosen so the more you comment on the better your chances are of winning! You have until Sunday, February 18th at 9pm CST to comment — winners will be announced on the blog post on Monday, February 19th. What a cute little PINK owl with a cute little cupcake Yes! Lime green and hot pink are totally fun together! And so happy, just perfect for today! oh yes, this is just too cute! LOVE the colors. Oh this is so sweet, with your beautifully colored owl, and twine behind. The green stripe is so festive! Love the owl with the cupcake! Sweet card with a pretty color combo! 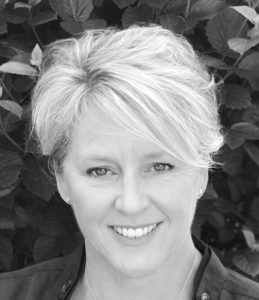 Happy Birthday to Jennifer! Cute, love the striped green with the bold pink owl!!! A great way to incorporate twine. I have a ton of it but seldom think to use it. Thanks for sharing and happy birthday to Jennifer! Very sweet card! Happy birthday Jen. Hope Newton spoils you!!!! Such an adorable little owl! Love this card. its so very nice ! Love the owl set in his own circle. Happy Birthday to Jennifer ! And some wise wishes also from this adorable owl ! I love owls and this one looks delicious! What a great birthday card for Jennifer. Fun choice of colors and the owl looks sweet holding the little cupcake. Love this bold and bright color combo! The twine and sequins are perfect compliments. Hope your birthday is a real hoot, Jennifer! Awww, this is super cute! . Love the owl – he’s adorable ❤. Happy Birthday Jennifer! Awww, sweet owl. Love this! Fantastic card – love it! Happy Birthday Jennifer! Loving this bright & happy card. So cute, too. That little owl is super cute! Love your colour combo! Wishing Jen much happiness on her special day! She’s one of the sweetest people around! And very talented! What an adorable card design. 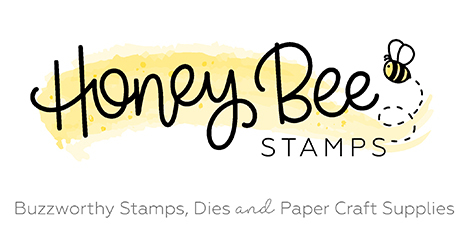 I can never seem to figure out how to put my stash of colored paper to use on my cards – this is a perfect idea. I love how something as simple as a circle creates an focal point with the adorable owl. Such a happy looking card! Happy Birthday, Jennifer. I hope this turns out to be one of your best yrs yet! Just love the colorful owl! Such a fun and festive card! So cute with the pink owl and the striped background. I love how simple yet pretty your card is, love the little owl too!! Love the card base and coordinating envelope. Cute card. 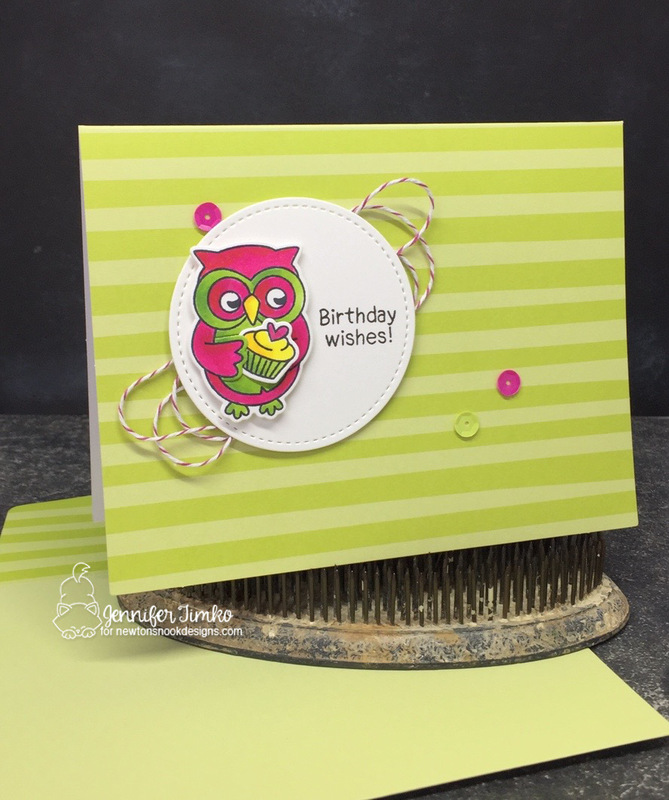 What a fun card in non-traditional colors of the owl! Happy birthday Jennifer! Love the pink owl and the the cupcake. I’m sure Jennifer would love the cupcake too. SURPRISE Jennifer, hope you have a great day. That’s an adorable card ! I love your color combo ! Fantastic card! I love the pink owl and green background! Hello Jen! This card is adorable! lime green is one of my favs! And that pink owl is adorable! I was so surprised with this amazing hop! you girls are so incredibly sweet! What a sweet owl. Great card.